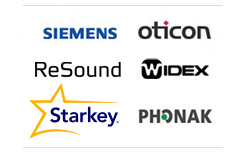 New Life Hearing has access to all major manufacturers of hearing aids and ear related products. The company sells hearing aids, hearing aid batteries, assistive listening devices, ear molds, sound protection, ear swim plugs, and earpieces for communication devices. Services include diagnostic hearing testing as prescribed by physicians, testing of middle ear function (impedance testing), and hearing aid evaluation. Hearing technology has vastly improved in the past decade, and continues to improve at a rapid pace. While listening to your needs and concerns, our professionals will help you choose the correct style and technology for your hearing instruments.